I presented on blogging to Tridion professionals as part of SDL WCM's kick-off (yeah, I know you want to call it the "Tridion" kick-off). Here's the blog post on the speech. This is the emotional sales pitch, come back if you ever doubt online sharing or community for Tridion professionals. Otherwise, skip and read my next post for the manual. I can tailor a speech to an audience, but it's hard to connect with everyone in a speech. So it helps to add a picture and some facts. Is readership on your mind? Are you interested in money or career satisfaction? 977% growth in just one year! Actually some of that comes from Twitter. Ironically my most popular post has nothing to do with Tridion, but lolcats. 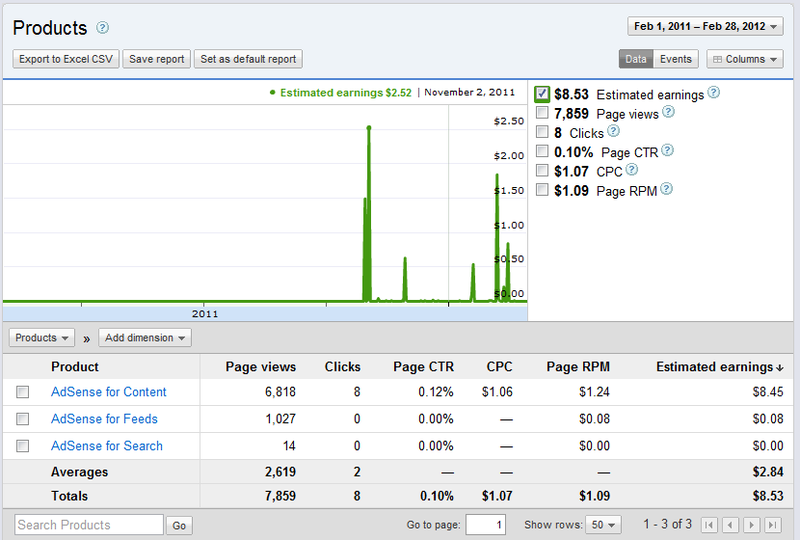 Soon I'll make my first $10 from blogging. "The first million is the hardest." When blogging, I can't reach everyone in a single post. If I don't put in code, I'm sure I'll lose uber techno-savvy @puf shortly after the pictures, right about... now. Do you want to blog but are pressed for time? You can write an email to post (thanks for the example, Jaime!). In terms of experience, doing is and explaining are great ways to learn. How do learn to program? You program. How do you get better at blogging? You blog. How do you show you're an active participate in your technical community for either peers or that HR professional or recruiter? You become an active participate in your technical community. Don't confuse the technology with the message. Blogging is just one way to contribute online. When I say "you should blog" it means you are valuable and others could use your expertise or your viewpoint. Five clicks and a blog title, and you're an instant online resource, what you do from there is up to you. Here's what I've done. 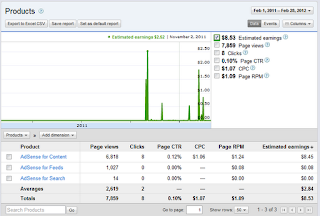 AdSense income has remained inconsistent, never more than $3 (US) any given month. I thought I've only made $4, but it's really $8. Tip: don't blog about Tridion to make money. To gain international renown, win a nice shiny award, and get uber job offers, yes Tridion's the perfect topic. Ad revenue from a Web-savvy audience with strong Ad-blindness, ummm... no. Lo siento. Btw, I think I'm only $90 away from getting my first check, since Google doesn't pay out until you've made a certain amount. After that first check I wonder if I can say I "worked" for Google? Don't blog what others are doing, blog on what you want to blog. I've finally met nearly all of my SDL Tridion (SDL WCMS) peers between my visit to Amsterdam and the annual kick-off event. They are so fascinating, it warranted a separate post on how interesting the SDL WCMS group is. Don't worry about making your message "good enough." Though the marginal cost on software or licenses is nearly nothing, your time is limited (slightly more so if you work with Tridion (the software)). However, your ideas, answers, and useful questions can help others and scale to a larger audience regardless of your role or expertise. 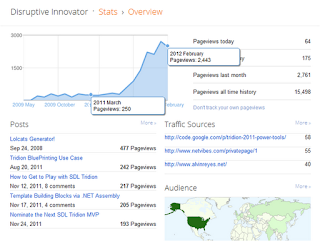 This site currently gets two thousand visits monthly from people and spiders (indexers like Google bot). If just one of those readers also shares, I've done a small part to increase community content. If any one of you ask or answer even basic questions, the spiders will take care of the rest to make it available to the "community." Creating a technical community involves finding the right people with the right skills and the right passion to do the right things. 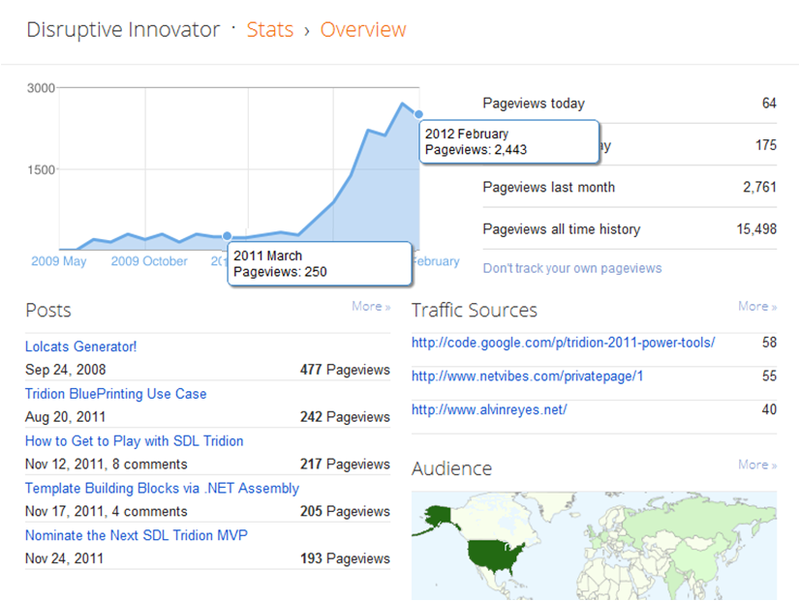 See the seven wins if you're not sure why you'd want a technical community. Watch the video or read my old post on blogging if you're not sure where to start.